Conditions such as arthritis, a frozen shoulder, rotator cuff damage, and bursitis can all lead to surgical intervention to help improve range of motion and alleviate pain. Although the end result is typically a better quality of life for the patient, the pre-op process, surgery, and recovery can be challenging for many people, especially if they have never had surgery before. Helping them accelerate shoulder surgery recovery will allow them to return to normal activity more quickly and make the entire experience more comfortable. Because the shoulder joint is so critical to many daily activities, speeding up the healing process should be a priority for both healthcare professionals and patients. Don’t assume that your patients have done their research. Even if they have taken the time to learn about their procedure and what to expect during recovery, it doesn’t necessarily mean that the information they have read is correct. Speak with them about what they are likely to experience during each phase of the recovery process and make sure they understand the best ways to reduce pain, control swelling, and safely return to activity. 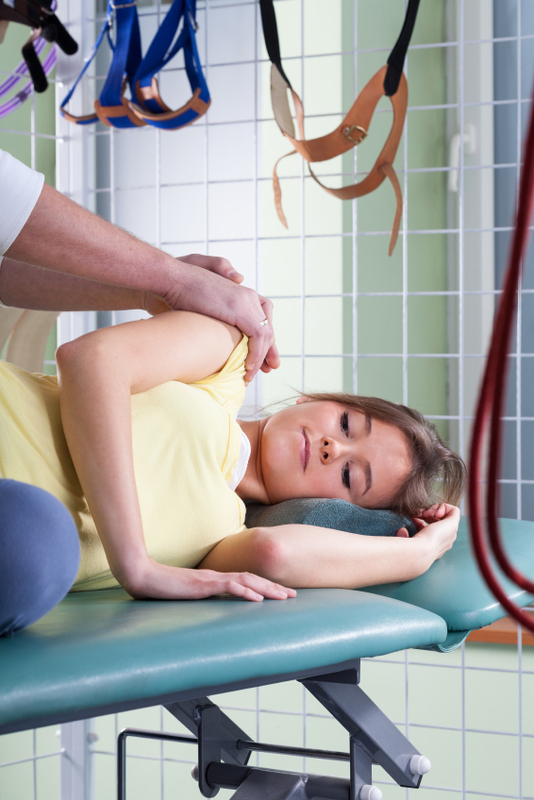 The sooner a patient starts physical therapy, the faster the recovery will be. Many patients are surprised that they should start physical therapy on the day of their surgery. Prepare them for this in advance so they are not resistant to the idea, and show them the exercises they will be expected to perform prior to surgery so they can learn them before going into the operating room. Applying an ice pack to the shoulder is difficult, especially if the patient is alone at home. In addition to the discomfort and inconvenience of holding the ice pack in place, the patient cannot reach the back of the shoulder to get uniform application of therapeutic cold. Using a cold and compression system with wraps that enclose the entire shoulder joint will accelerate healing by enabling the therapeutic cold to penetrate deep into the damaged tissues in the joint. The active compression delivered by the system pumps lymph fluid and cellular debris away from the injured area and brings fresh blood and nutrients to aid in tissue repair. Every patient wants to get back to their life as quickly as possible after shoulder surgery. You can help them by properly preparing them for shoulder surgery recovery and giving them the best tools to accelerate healing. Recommend Game Ready as part of a comprehensive shoulder surgery recovery plan and give patients the most advanced technology available to reduce pain, control swelling, and heal as fast as possible. Using Game Ready in the hospital immediately after surgery will prepare them for continued use at home or in a physical therapy clinic. Patients using Game Ready have overwhelming said that it helped speed and improve their recovery, while helping to reduce the amount of pain medication they took. Contact us today to learn more about how to integrate Game Ready into your shoulder surgery recovery strategy.